In this study, we examine the role of social trust as an individual and a neighborhood-level determinant for radical right-wing populist party preferences. We argue that high social trust decreases radical right-wing populist party preferences and that this relationship is essentially mediated by negative attitudes toward immigrants. Using data from the Netherlands’ Life Course Study, we employ multilevel structural equation modeling to test our argument on support for the Party for Freedom (PVV). 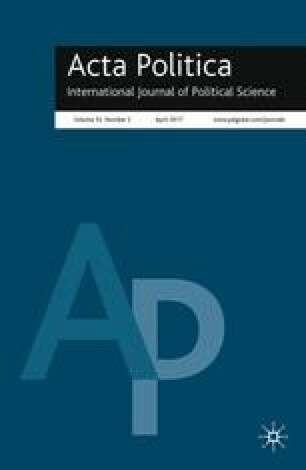 The results reveal that individual social trust decreases radical right-wing populist party preferences. Beyond the micro-level relationship, we find that neighborhood social trust decreases radical right-wing populist party preferences. In either case, the effects are mediated by anti-immigrant sentiments. Our findings provide evidence for the importance of social trust as a multilevel construct in explanations for radical right-wing populist party preferences.